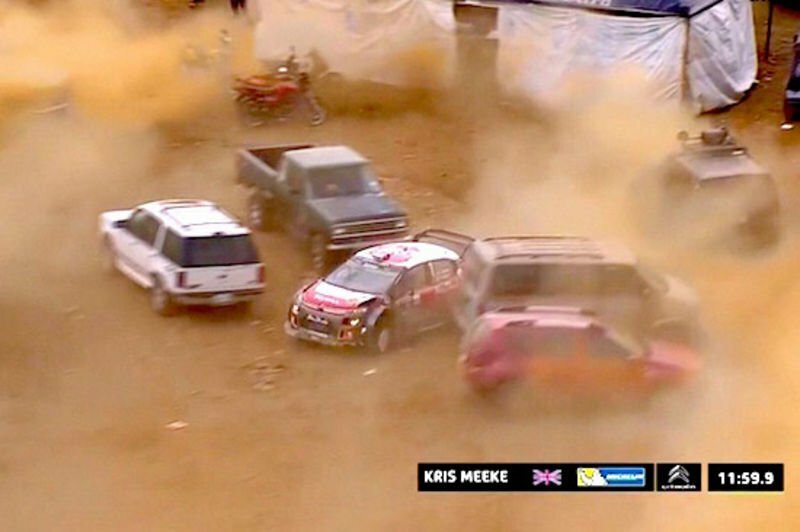 Home / Automotive / News / Video: World Rally Championship Driver Kris Meeke Crashed Through A Hedge, Got Lost Mid-race And Cut A Lap Through The Carpark, Went On To Win Overall Anyway! Less than a kilometer away from the end of the final stage of Rally Mexico, Kris Meeke went straight through a shrubby tree line and clipped a car parked behind the trees. He then got a little lost in the parking lot itself, having to squeeze his way between spectators’ parked cars.